The creator of the world's most famous toy, Frank Hornby was born in 1863 at 77 Copperas Hill, Liverpool. Frank started work sometime after leaving school as a clerk in a meat importers, employed by David Hugh Elliot in James Street Liverpool. He had musical interest and became a member of the Liverpool Philharmonic Society where he met Clara Walker Godefroy who as to become his wife. Later they became parents to two sons, Roland and Douglas. It was with these two growing boys that Frank first turned his attention to making mechanical models. By the last few years of the nineteenth century Frank was making toys for his sons made from sheet metal cut by hand. The boys where excited by what their father made. To amuse his sons Hornby made a toy crane out of perforated metal strips held together with nuts and bolts. The crane could be dismantled and the parts used to make different models. 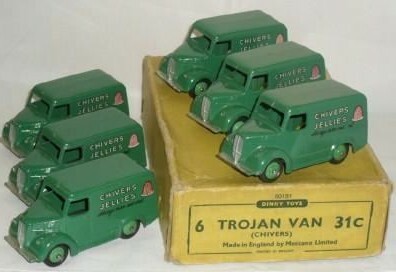 Hornby saw a future for this versatile toy and set to work producing it for the mass market. By the end of 1900 Frank Hornby had developed a set of parts and was now considering marketing them. Frank Hornby took advice and patented his invention but to enable him to do this he had to borrow five pounds from his employer, David Hugh Elliot. The patent was for "Improvements in Toy or Educational Devices for Children and Young People" and this was lodged with the patents office on 9th January 1901.The toy was patented on January 9 1901 as 'Mechanics Made Easy'. 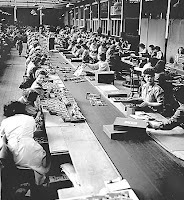 It became known as Meccano in 1907 and went on to take the toy world by storm. It is believed the name was chosen by Frank Hornby because it could be easily pronounced in all languages. In 1907 Frank Hornby gave up his full time job with Elliot and set out to find suitable premises. He found a workshop at 10 Duke Street, Liverpool, and secured a three year lease on it. He realised that he would have to raise capital in order to purchase suitable machinery and provide wages for skilled staff. In view of their past record Hornby and Elliot were granted a loan and by June 1907 they were manufacturing their own parts for the system. Their sales for the financial year ending 31st of March were 3,000 pounds. He later took premises in Tuebrook but these soon proved too small. He then bought up 5 acres of land in the Old Swan area of Liverpool. 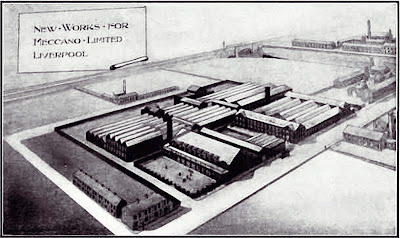 It was here the Binns Road factory opened in 1914. 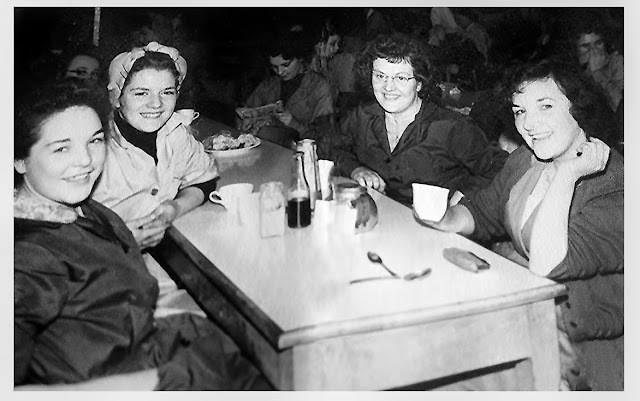 This became the company headquarters for more than 60 years. 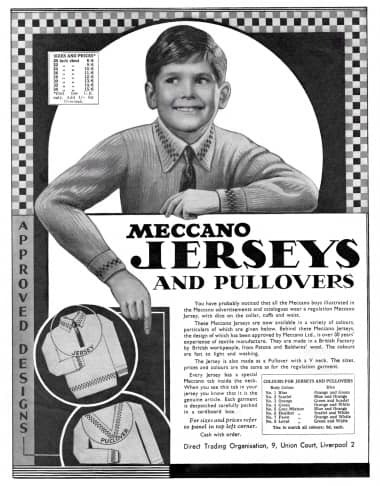 By 1922 Meccano kits of various sizes and costs were available. At its peak the Meccano system consisted of over three hundred pieces and inspired a generation of boys to take up technical careers. The products of Binns Road were phenomenally successful. 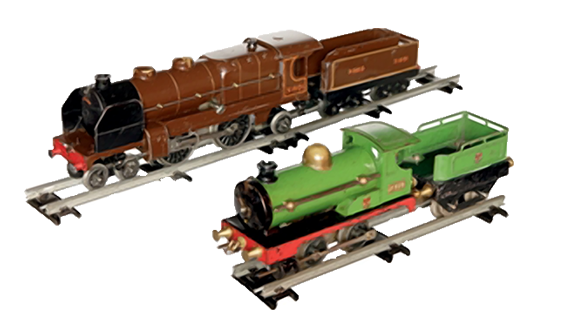 Frank Hornby was a visionary in toy development and production, producing three of the most popular lines of toys in the twentieth century. 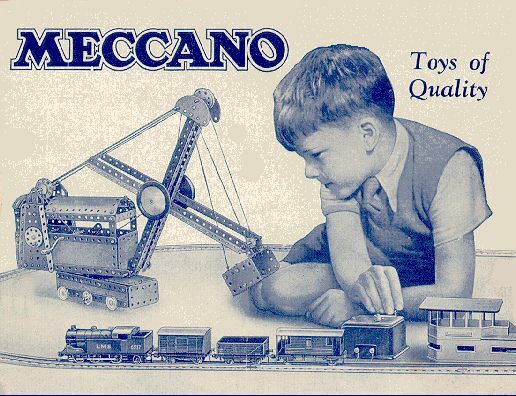 During the 1920s and 1930s Meccano Ltd was the biggest toy manufacturer in Britain. Another very famous brand name was to come from the Hornby stable in 1938 that of Hornby Dublo Trains. 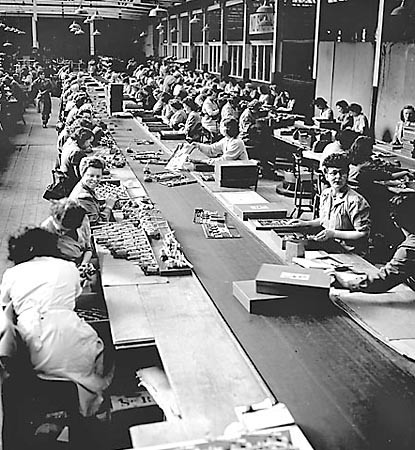 The last product to be launched before the outbreak of the second world war in 1939 was the "Mechanised Army" outfit. Parts were finished in a matt khaki, a three part wooden gun barrel was included, with many standard parts having less holes punched in them. In its heyday Meccano also had factories in Speke and Aintree as well as manufacturing bases in Argentina, France, Germany, the USA and Spain. 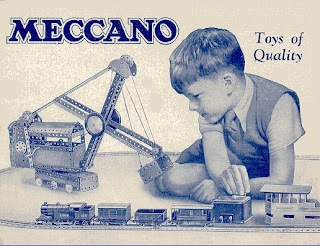 By the 1960s rival plastic construction toys - cheaper, and with a wider and younger appeal - were carving huge chunks out of Meccano's market, while Meccano itself proved slow to adapt to the new challenge. 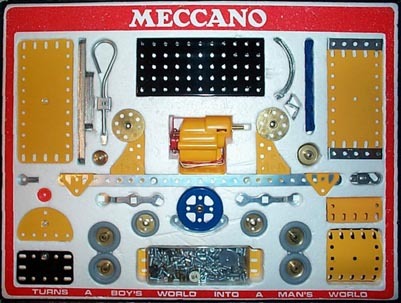 In 1979 Meccano's factory at Binns Road in Liverpool closed its doors for the last time, and the company was bought by a French corporation to be relaunched as Meccano SA, based in Calais.